Washington is "extremely concerned" that more countries are expressing interest in Russia's cutting-edge S-400 air-defense system, analyst Marco Maier wrote for Contra Magazin. 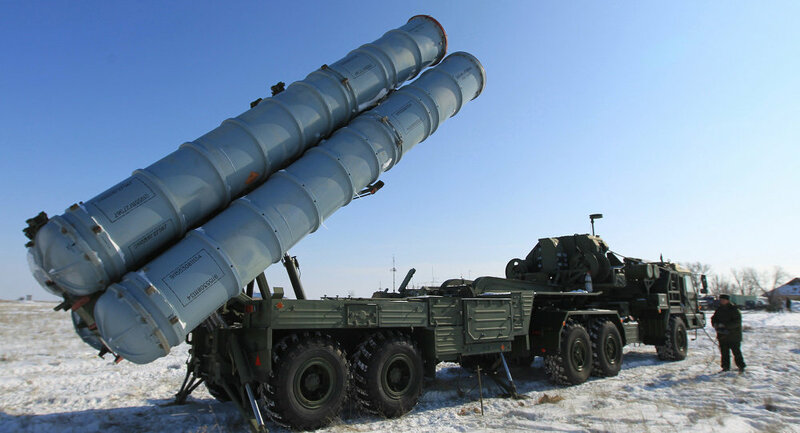 China has become the first nation to purchase the S-400 Triumf. Moscow and Beijing are said to have inked the $3-billion deal last year and China could receive the first batch as early as 2016. New Delhi has long been eager to add the "mobile and extremely effective" defensive system to its arsenal, the analyst added. Recent reports suggest that Russia and India will sign an agreement, estimated to be worth $6 billion, in the near future. New Delhi is expected to buy 5 regimental units of the S-400. Among contracts cleared by DAC today is S 400 air defence systems. As reported, this contract likely to be signed during PM trip to Russia. ​"Washington is not happy about it since [the S-400] could inflict heavy losses on the air forces of the United States and its allies," Maier observed. Should more nations opt to put Russian-made air defense systems in service, the US and its partners would be unable to attack areas protected by the S-400 with conventional fighter jets, drones and missiles, the analyst added. "If Iran or India buys the S-400, they would be able to protect airspace over Pakistan and Afghanistan. A nightmare for the Pentagon," Maier concluded. The S-400 Triumf (NATO codename SA-21 Growler) is an anti-aircraft and anti-missile system, which is capable of intercepting all types of modern air weaponry, including fifth-generation warplanes, as well as ballistic and cruise missiles at a maximum range of nearly 250 miles.